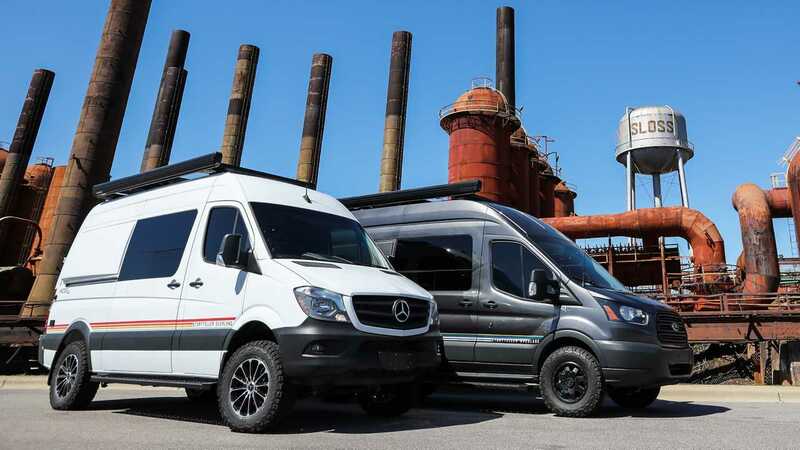 Storyteller Overland, LLC, an Alabama-based Class B RV and outdoor lifestyle gear manufacturer, officially launched the new Mode 4x4 adventure van series that aims to revolutionize the motorhome segment. Based off of the tall vans like the Mercedes Sprinter and Ford Transit, Storyteller Overland describes the new Mode 4x4 camper vans as "a passionate labor of love combined with years of focused market research and product development geared towards enhancing the lives and improving the experiences of daily driver, weekend warrior, and long-range travel enthusiasts in the rapidly growing Class B RV and adventure van market." Whatever that means, the Mode 4x4 camper vans do have a lot of new things to offer to motorhome buyers. Probably the most revolutionary feature of the Mode 4x4 is its 9kw LiveFree OTG Energy System that was developed with Volta Power Systems. This lithium-ion battery provides sustainable energy while traveling off the grid, without the need for onboard power generators. At night, it can run low profile air conditioning without the need to be plugged in or to run under high idle.